Wednesday 26th March 2014 5.30pm in Captain Burke Park, Holman St, Kangaroo Point. 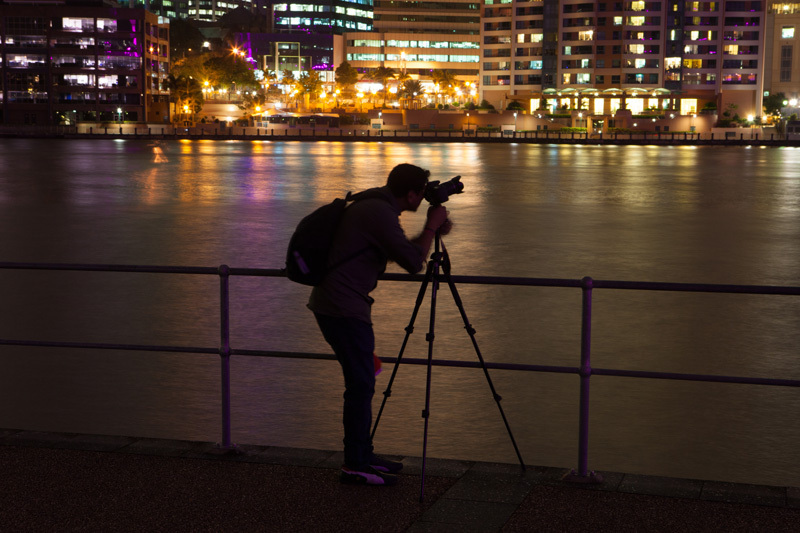 “The Night Photography Masterclass” is our most popular workshop. 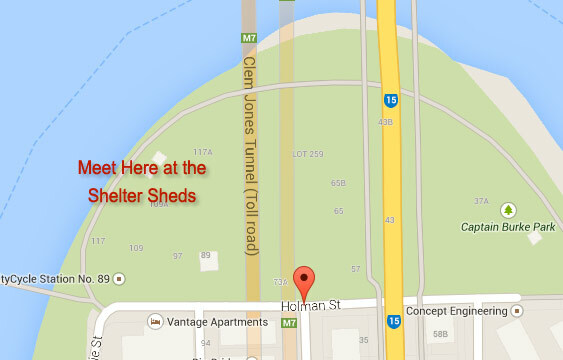 In Brisbane, we normally hold this class in Captain Burke Park, Holman Street, Kangaroo Point. Stephen and Vince originally started teaching this Masterclass for the Australian Institute of Professional Photography to show the new and emerging pro photographers the art of people photography by night light and thus be able to turn out amazing portrait and wedding images. LEARN : Proper tripod techniques and the elements of a good tripod. LEARN : The simple trick of correct exposure for night landscapes and portraits. LEARN : The basics of people posing. 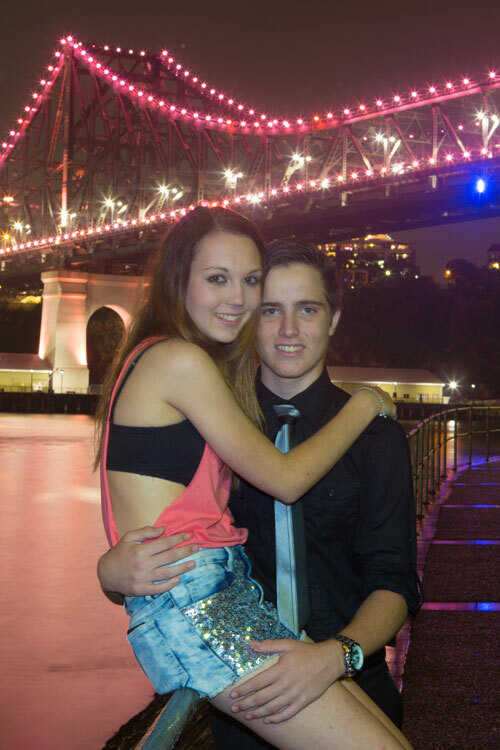 LEARN : How to turn the Yobbo Couple pose into a fantastic professional pose in 4 easy steps. LEARN : About using “Cab-Sav” light for true professional environmental portraits. LEARN : How a light costing $10 to buy can produce such amazing professional portraits. LEARN : Change the grey evening sky to vivid blue tones in camera for perfect portraits. This Masterclass starts with a briefing to explain about ISO, f-stops, shutter speeds and white balance. We work with you to get great professional quality images into your Digital SLR Camera. This is a full hands on workshop with experienced Professional Photographers so you go home with great images in your camera. The Night Masterclass is limited to 20 people. This Masterclass will unravel the mystery of night photography. We recap the basics of your camera operations and much more under our supervision. Then we do a night shoot of time exposures and night landscapes. We shoot and show you how to put the theory of what you have learnt into practical use. A tripod is a must for this class. 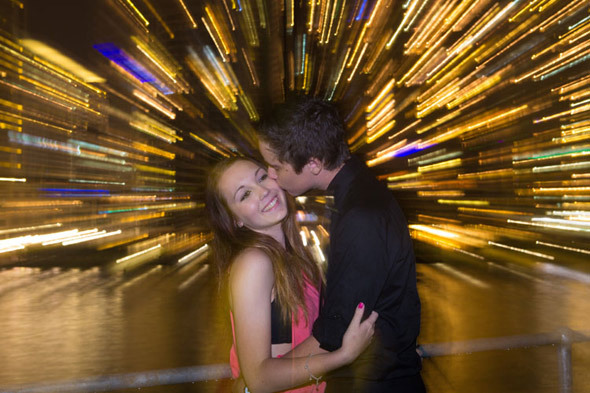 You will learn how to take Night Portraits like the Pros. 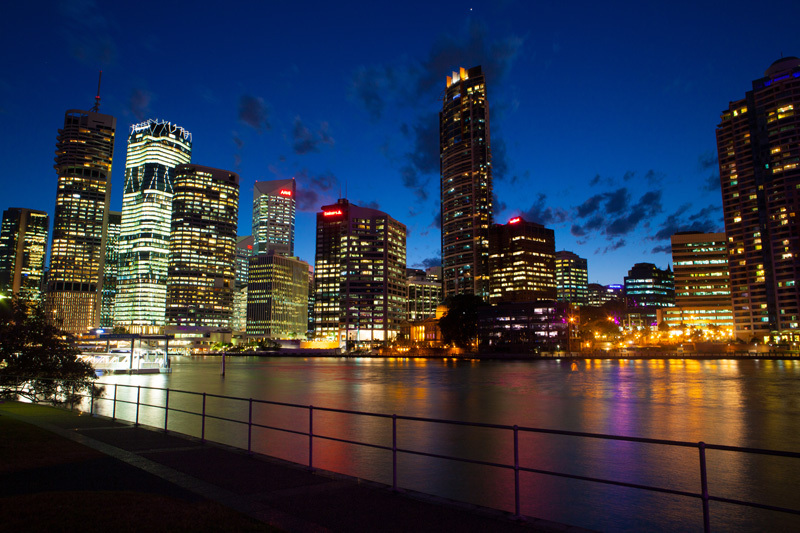 In this exciting Masterclass you will learn to take stunning Night Portraits using a variety of light sources, Flash, Torches, LED, video light etc with awesome city night views as backgrounds. It is quite common for photographers to come back to this class 3 or 4 times to perfect and practice these special night techniques. If you would like to take your photography to the next level, this Masterclass on Portrait and Landscape techniques by night is for you. The class is aimed at the Digital SLR or Hybrid camera user. Digital SLR Camera, Memory cards, Spare batteries, Small pocket torch, Notebook and pen, Tripod, Coat, Water & an open mind. Drive down Main Street, Kangaroo Point and then at the end under the Story Bridge, turn left into Holman Street and find parking spot. We meet over to the left in the picnic shelters so that we are directly across the Brisbane River from the Customs House. 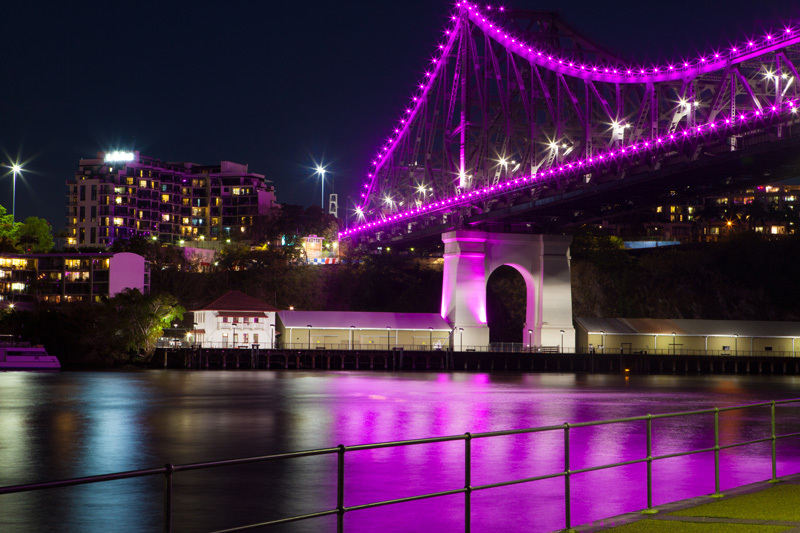 This spot gives us spectacular views of the City reaches of the river and also a great position to photograph the Story Bridge by night.